A leading cyber security forensics company wanted to boost their webinar attendance and reach new prospective clients online. 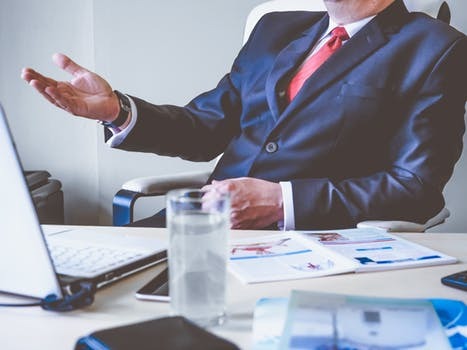 They needed compelling messaging, but also highly targeted ads to reach senior-level buyers including CISOs, CIOs, and CTOs. We recommended both Google Search and Remarketing Display campaigns as well as a LinkedIn Ad campaign to accomplish the task. Here's what we did. We created multiple ad variations in different sizes in order to test the effectiveness of different brand colors and messaging (a sampling of those designs is included below). We wrote enticing ad copy speaking about the educational benefits of an upcoming webinar series and built a strong keyword list of phrases users might be choosing to search for information on the topic. In addition to Google Search campaigns, we helped our client set up LinkedIn ads targeting specific industries, job titles, companies, and groups. We tested different targeting options within LinkedIn in order to find the best performing audiences that were most likely to register for webinars. 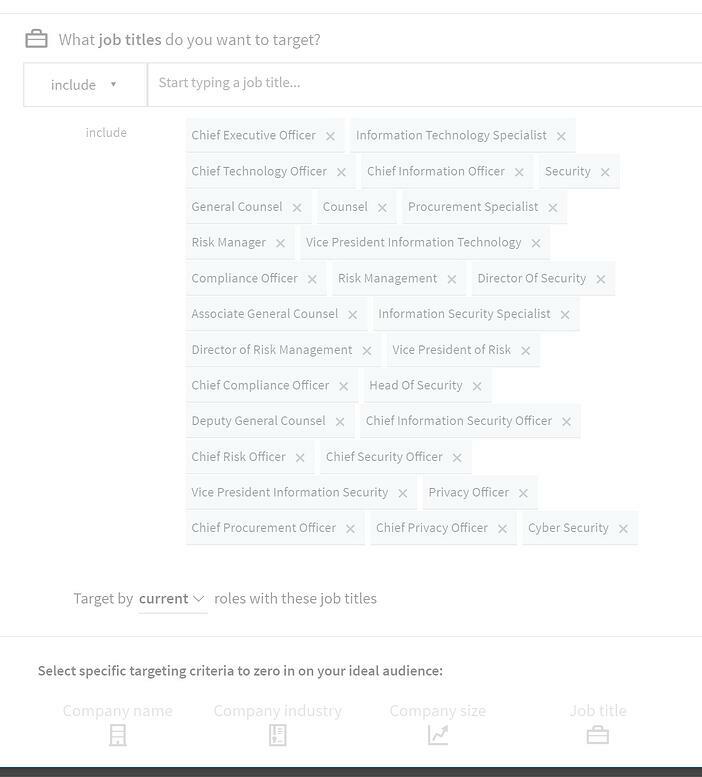 Below is a brief snapshot of the LinkedIn Ads interface, which allows you to select a variety of targeting options for your ads, including targeting your past website visitors or matched audiences created from your CRM database. During a two-week period, we were able to drive more than 36 registrants to the client's webinar with a very limited ad budget. "It is very hard to find a digital marketing agency that you can truly trust and count on. Especially one that knows the cybersecurity industry inside out. Beacon Digital Marketing team is not only a pleasure to work with but also a trusted advisor to me. They are an excellent resource for all stages of inbound marketing. Highly recommend."